20 Watt mono "ROAD POWER" audio power stage amplifier designed for use in cars and other vehicles with a 12V power system. 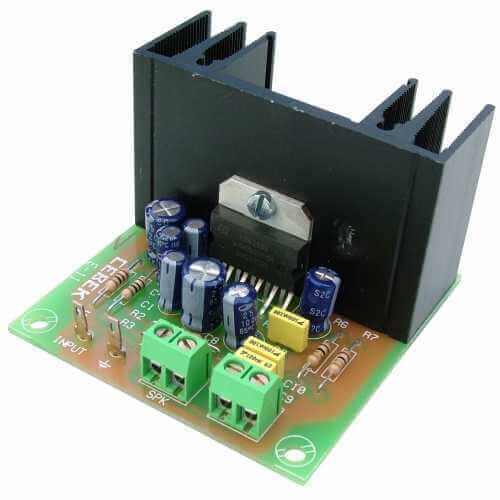 This high quality, small size board uses a TDA2005 and features 4-8 Ohm output impendence, low distortion, protection against polarity inversion and output short-circuits. The input signal could be supplied by auxiliary devices like a mixing desk, etc... (700 mV max). Supplied fully assembled and tested with instructions so you only need to make the necessary connections using the onboard screw terminal block connectors.